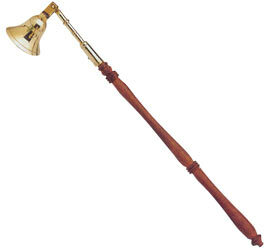 This Candle Snuffer offers a unique design and is a beautifully crafted piece which has a practical side ... the swiveling bell-shaped antique brass snuffer ... as well as its artistic feature in the form of the decorative wooden handle. Remember never blow out a candle. It'll get wax everywhere !!! 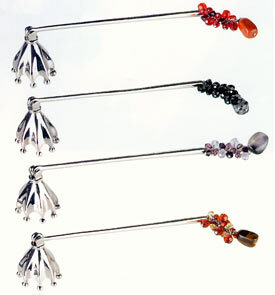 These Beaded Pewter Candle Snuffers offers a unique design and is a beautifully crafted piece which has a practical side. With its artistic features of glass beads around the handle and one stone dangle on the very end this decorative pewter snuffer will make the perfect accessory to your home. Remember never blow out a candle. It'll get wax everywhere !!! Sold individually and available in assorted styles.